Stronger Shines the Light Inside, an ongoing public photography installation and social media platform, tells the stories of resettlement in America. 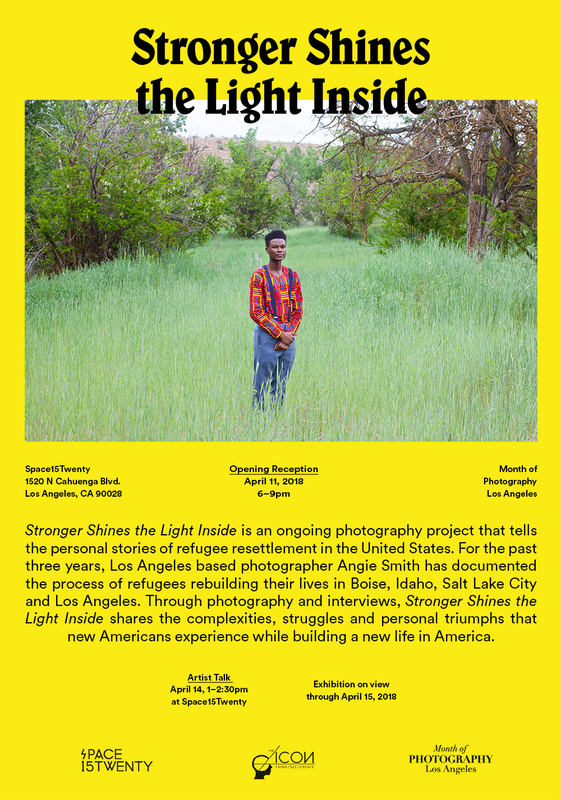 Over the course of three years, Los Angeles based photographer Angie Smith has documented the process of refugees rebuilding their lives in Idaho, Salt Lake City and Los Angeles. Stronger Shines the Light Inside has become a medium through which these stories of resettlement can be shared. The portraits and interviews help Americans understand the complexities, struggles and personal triumphs that refugees experience in their everyday lives. © 2018 Rani de Leon. All images are copyrighted by their respective authors.